Hello, stampers! Good day! 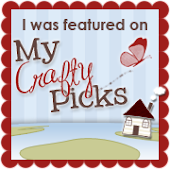 This is double pocket card I made using Stampin'Up! 's new Diagonal Scoring Tool and the Simply Scored Board. 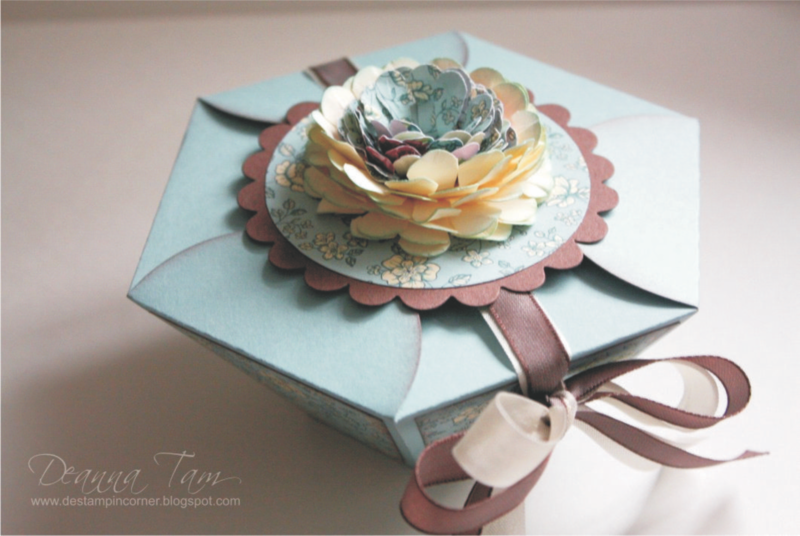 I found a tutorial for this card on YouTube by Peggy Bennet. Very easy to follow. Inside of the pocket card. I didn't decorate the inside of the card as I want my daughter to be able to write or draw something inside which she enjoy doing. This card will be for her friend's birthday coming up. This shows the tags out of the pockets. I stamped princess images for the birthday girl to colour. She loves princess stuff. I know she'll love this card for sure. Good day. These are the journals I made for all the nieces and nephews for the Mexico trip we went to in May. They can write down all the things they did there during the trip. Here is the cover. Very simple one. I stamped some images on the front cover and they can colour them if they wish to. I love the colours of the journals all staked together. So pretty! I sewed the spine to keep the pages together. Each kids get their own colour. I gave it to them before we boarded the plane. Some was so excited they wrote and drew pictures in the journal while on the plane. 6 hours of flying was a long time for the little ones so the journals kept them busy for awhile. Here is the inside. Lots of space for them to write and draw. Guess what? I found the wedding creation pictures. They were in Martin's computer. I never thought they would be in his computer. I search and search on all the SD cards we got and they were not in any of the cards. I'm glad they were not deleted. I made these wedding stuff for my brother's wedding. My SIL was very easy to work with. She's not picky at all. She's a sweetheart. This is the picture of the menu card and a tag for the maraca. The tag said "stand and shake with all your might to see the groom and bride kiss tonight". I love it. It is so cute. One of my nephew really enjoy shaking the maracas. This is the other side of the tag. This is the ring pillow I made long time ago for my wedding. I just changed the flower and ribbon to match their wedding colour. This is the table number card. This is the guest book. The frame piece on the book cover opens up and there is their picture inside. Here is one of the pages inside the guest book. I put their wedding invitation and respond card in the guest book. Unfortunately I did not make the invitations. Here is another page in the guest book. I added pictures to each pages and the guest can sign around them. Hope you enjoy looking at the wedding stuff. I enjoy making them. Good day! Here is a paint can gift set I made for my friend's baby girl. It is a wonderful baby keepsake can. I decorate the can using the colours of the hat I crocheted for baby Anina. The front of the paint can. The beautiful frame shape under the name is for Anina's picture. I made a template for the mother to trace the shape for the picture so she didn't have to guess the shape. Back of the paint can. I went crazy putting flowers on the can. A girl can never have too many flowers. My friend love the flowers. I added a flower on top of the lid. I used green ribbon for the leaves. I think they look like leaves. I made an album for pictures of Anina. I love this little album. It is so cute. The colours are so pretty. Last month my family and I went to a friend's graduation ceremony. It was a long one. There were only 48 students but it took 2 1/2 hours. All through the night we couldn't here any of the speeches the students mad but the music was so loud booming behind us. Somehow the mic in the front did not connect to the back speakers. That was where we sat. Anyway, I'm glad our friend is graduated. I'm happy for her. I made this card for her. The stamp set Great Grads is retired. Good day! I made this set for my kids' piano teacher. This is her last year teaching them as she is going off to Bible college. We are happy for her new adventure and will miss her dearly. She's such a sweet girl. She has been a great blessing to us over the years. I remember her as a little girl when she first move here with her family as a missionary in Burnaby and now she's all grown up. Time sure flies. Here is their church website Metro Baptist Church if you are interest in knowing more about their church. I made a card to match the book. This is an altered composition book. I used one of my favourite colour combos to decorate the book. If you would like to make the ribbon flower you can find the tutorial here. "I will bless the LORD at all times; His praise shall continually be in my mouth." Good day everyone. I'm still looking for the pictures I took of the creations I made for the wedding. I have no idea where they are. I can't retake them as I don't have the stuff anymore. A case of missing pictures. I think I might need to hire a detective to help me find them. For now, here is a card I made for my brother. He loves dogs so I made him one with a dog image. His birthday is the day after my dad. I get confuse sometimes who's birthday comes first. Getting doesn't help either. Thank you for visiting today. Have a great day! Hello, stampers. I'm back. Did you miss me? I hope so. This is a short post just to let you know I'm back to blogging. I almost forgot how to blog. I didn't know what to write about and for the life of me I could not find any pictures I took to post while away from blogging. That's what happens when I take such a long break. It was a busy two months while away from blogging. In April I made wedding things for my brother's wedding. I'll show you what a did on another post. In May we went to their wedding in Mexico and we had lots of fun. The kids did not want to come home. I'll leave you with a card I made for my dad for his birthday this past Saturday. Hope (5 years old) helped me colour the image and put the card together . She did a great job helping me. Thank you for stopping by! Have a good day. "Keep me as the apple of the eye, hide me under the shadow of thy wings."